On first glance, the question seems simple and the answer seems clear: as HIV programs roll out, become more effective, and reach more people, surely, people at risk of acquiring or currently living with HIV should benefit from programs whose goal is to end AIDS once and for all. However, a thought-provoking piece in Humanosphere written by University of Washington faculty and staff turns this question on its head. It turns out, Scott Barnhart and Joanna Diallo argue, a lot of people in places far away from these critical programs benefit as well. When programs run by US-based universities or international NGOs can spend up to 50% (or more) on overhead, often the amount that actually reaches people living with HIV is pretty tiny (the authors cite one program run by USAID where only 30% of funds were spent in-country, with the rest funding staff and offices located in the US). 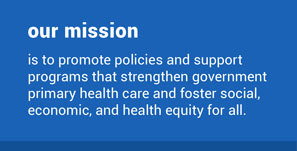 HAI’s Advocacy Program has long focused on donor and NGO accountability, working to disseminate and promote the NGO Code of Conduct for Health Systems Strengthening and advocating for best practices in managing international programs. On this World AIDS Day 2016, while we celebrate our progress and plan for future goals to eliminate AIDS for good, this article is a timely call to action for the stewards of how we fund these essential, life-saving programs. You can help strengthen HAI’s important work by making a contribution here. Thank you for your generous support!